​The First Republic villa built in 1932 was sensitively reconstructed in 2013 and renovated completely. 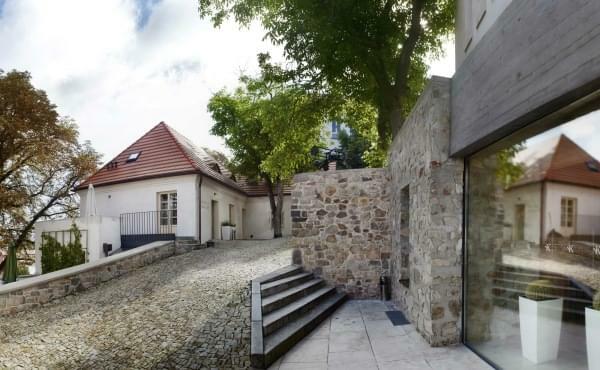 It is situated on an elevation over the old city in a calm residential neighbourhood, at the edge of the park only 8-minute walk from the Square of Concord (Náměstí Svornosti). The whole hotel grounds provide a superb view of the old city, the castle and chateau complex and the splendid surroundings. The garden with a terrace and a pergola tempts you to unwind and relax. Let yourself get inspired! Our hotel is situated near the city centre and simultaneously really close to meadows and forests. If a walk into nature is what you long for, we will recommend you a short and pleasant walk to the near famous landmark, Křížová hora (Cross Hill), whose peak has been decorated by a recently reconstructed chapel dating from 1710. 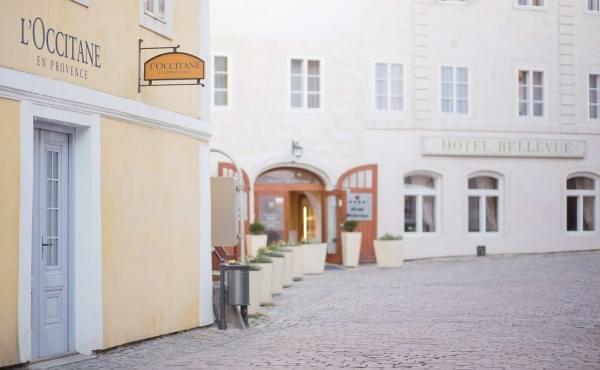 ​10 spacious, air-conditioned, individually furnished leading music stars themed rooms equipped with a bathroom with a shower or a bath and a WC, minibar, TV set with a satellite broadcast, an in-room safe, a coffee maker Nespresso are awaiting you. All rooms are equipped with luxurious Molton Brown cosmetics. Come to us by train, bus or comfortably by car directly to the hotel. We will gladly arrange for your transfer from the airport or a train station. There are 6 private parking spaces at your disposal outside the guest house.